Debbie Axford Palmer responded in this fashion: “Thank you Tony Hofstee for bringing this information to light! I had no idea the extent of hard work and time this great group of volunteers have contributed to this event and to the park over the years for the citizens of this city and area to enjoy! Kudos to you! As a taxpayer, businesswoman, single mom and a neighbour to Pinafore Park who enjoys the many events, I apologize your efforts and hard work have not been fully recognized and help readily available from city hall to ensure this and other events are continued! It is truly shameful! With what remains of the chapel on the Alma College site, chief building officer Chris Peck advised at the beginning of the week of the good likelihood a property standards order would be issued by the end of the week. Checking in Friday revealed no order has yet been issued to the current owners, the Zubick family of London. Seems it’s rather busy over at city hall. So, what happens when the order is issued? Keep in mind this order will only cover securing the chapel and not the mandated in 2009 cleanup of the entire 11-acre property. Do you get the feeling this exercise in futility is akin to spinning your tires on ice? A long-forgotten quote from former Elgin-Middlesex-London MPP Steve Peters came to mind this week following word of another small fire at the Alma College Chapel. 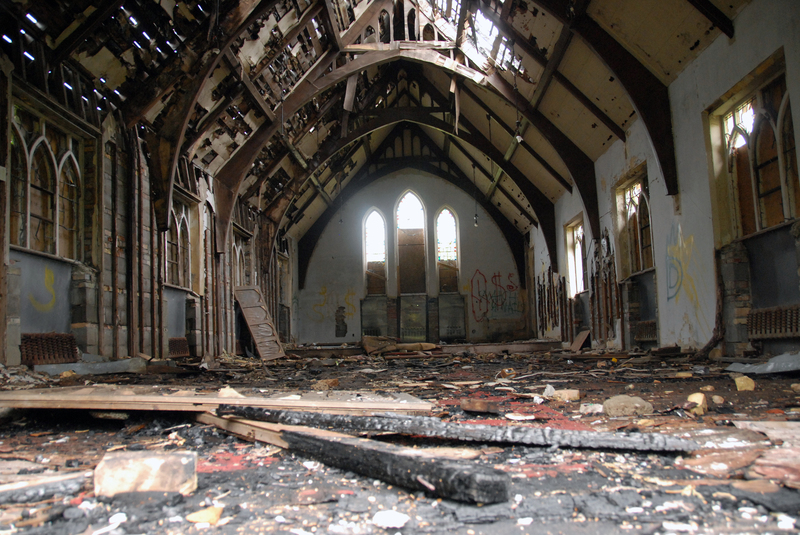 Revelation of the extent of deterioration at the former Alma Street Presbyterian Church is another blow to the city’s built heritage. 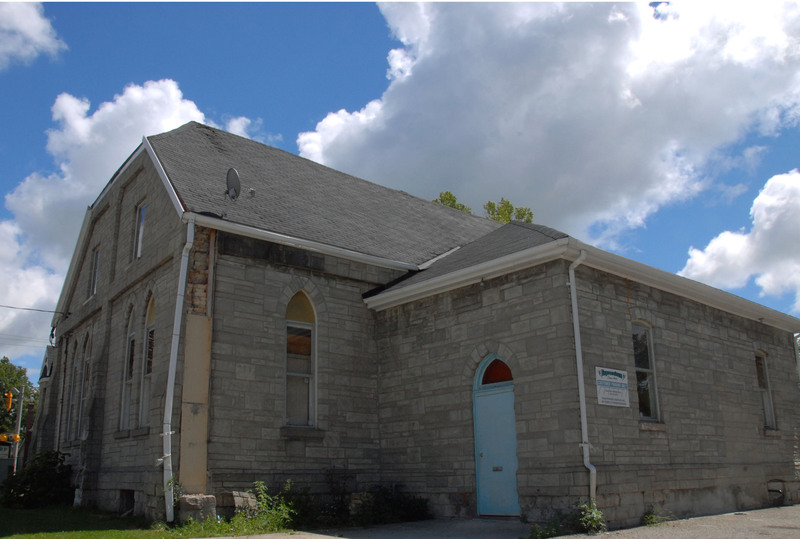 The new owners of the former Alma Street Presbyterian Church have applied to the city for a demolition permit to raze the church that dates back to 1891. The heritage building has considerable structural issues, most notable on the northwest corner pictured here. The realization this structure that dates back to 1891 will likely succumb to the wrecker’s ball begs several questions. back in April, 2013 requiring an engineer’s report to verify the structure is sound and to list repairs needed to fix the foundation and walls. She was given until April 26, 2013 to comply with the order. Given the state of the exterior of the structure this week, that order does not appear to have been acted upon and did the city undertake follow-up action on this? Has the city ever followed through on these threats? Surely wasn’t the case over at Alma College. 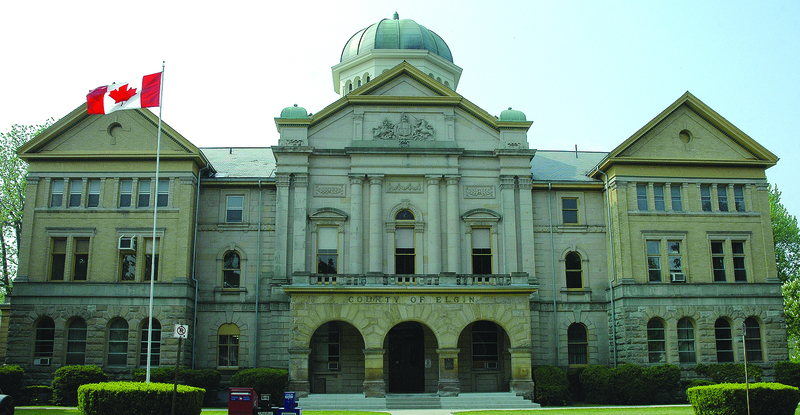 In an effort to seek funding to undertake repairs to the building, Morgan successfully petitioned the city’s Municipal Heritage Committee to designate the structure. Obviously searching for liens and outstanding work orders was not part of the due diligence in this case or it is unlikely it ever would have been granted a designation for the church. In any event, another example of demolition by neglect. OPSEU Local 151 president Steve Abdey on layoff notices issued Monday to Community Living Elgin workers. 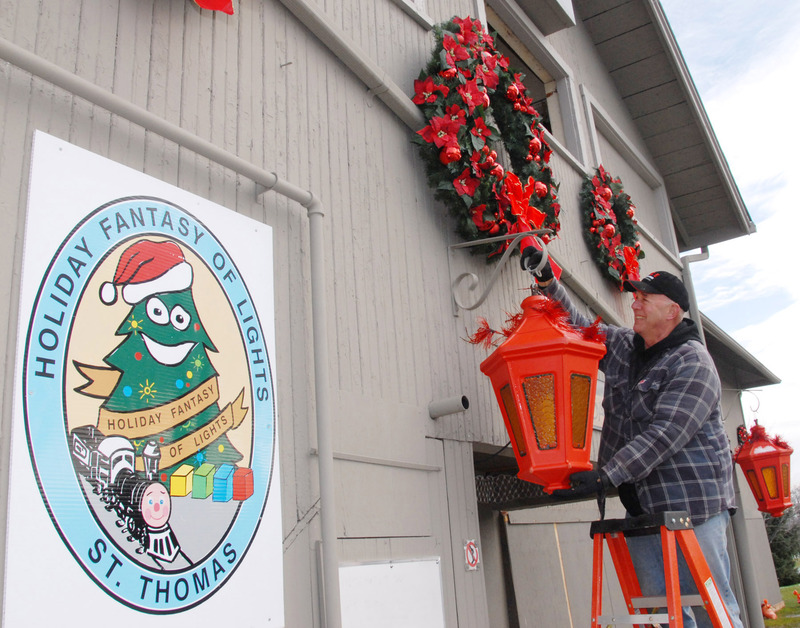 This entry was posted in built heritage, City of St. Thomas, City Scope, Fantasy of Lights, Parks and recreation, Tourism and tagged Alma College, Alma Street Presbyterian Church, built heritage, Community Living Elgin, Elgin County Courthouse, Fantasy of Lights, Mayor Heather Jackson, MPP Steve Peters, property standards, Steve Abdey, Tony Hofstee, Wade Woznuk. Bookmark the permalink. 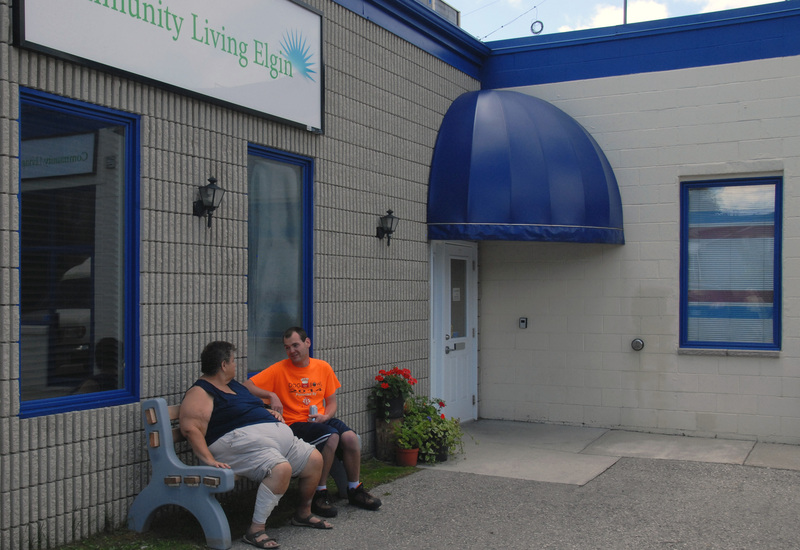 It’s absolutely disgusting to me what the government has decided to the dedicated employees of Community Living. I recently spoke to a lady with thirty years service that just received her lay off notice. I wonder how many of the ( upper echelon) received their layoff notices. Surely the government can find more places to cut services than for those that need it the most. What about all the zillions they saved when they decided to close all the facilities that was the only home those clients ever knew. Please contact your local government rep and voice your concerns.